New Zealand is famous for its stunning natural beauty. Fast becoming a top travel destination, it is full of amazing things to see. However, like most travel destinations, a bit of planning is sure to make your trip a lot easier. So, here are some New Zealand travel tips to make the most of your trip. Almost every town and city has its own “i-Site,” a tourist centre where you can find maps, brochures, and essential details about that location. 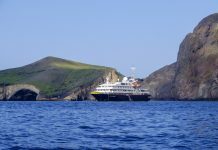 It is also the perfect place to book tickets for tours and to look for some general travel advice. 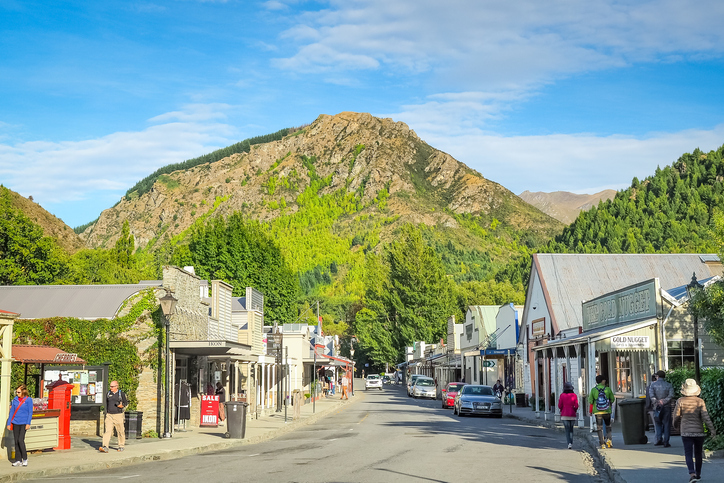 Tourists walking around the main street of Arrowtown in New Zealand. 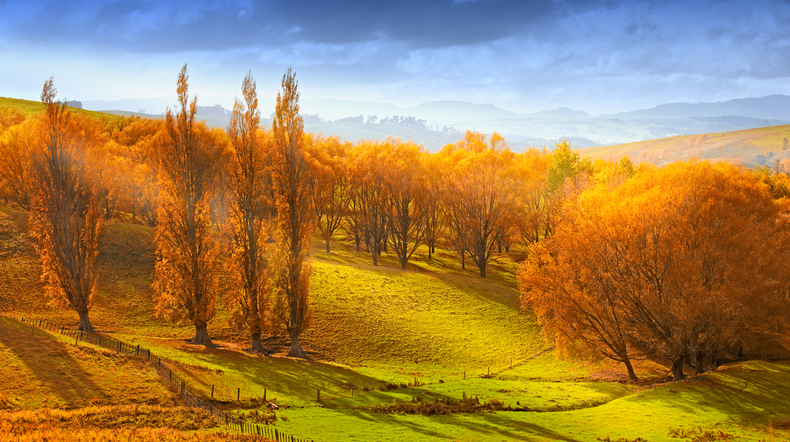 New Zealand lies in the southern hemisphere and thus has different seasonal times. Most people visit during the summer months (Dec-Feb), but this can be both crowded and expensive. Autumn (Mar-May) is also a good time to visit, as it is temperate but not cold, though Spring (Sept-Nov) tends to be windy and chilly. 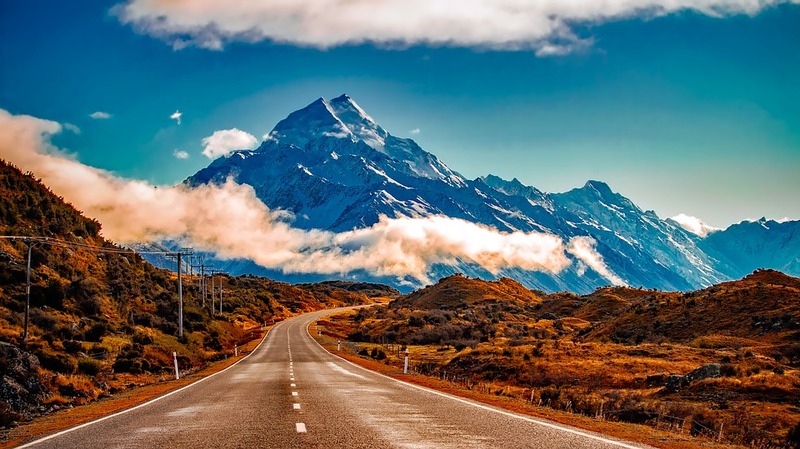 Winter (Jun-Aug) is perfect for those looking to explore the country’s skiing destinations (such as Mount Ruapehu in the North; Mount Cook and Mount Aoraki in the South) and its breathtaking glaciers. While the climate here is generally mild, you can still experience pretty extreme weather fluctuations in a single day. This is especially true of some locations that manage to pack in all four seasons in this short span of time! A sunny sky can turn quickly into a hail storm – so be prepared! Make sure to wear layers and pack a jacket, no matter the time of year. New Zealand is a popular destination that’s getting more and more attention. So, accommodations are often fully booked months before the high season. Be sure to make your bookings in advance to both reserve a room, and to save money. 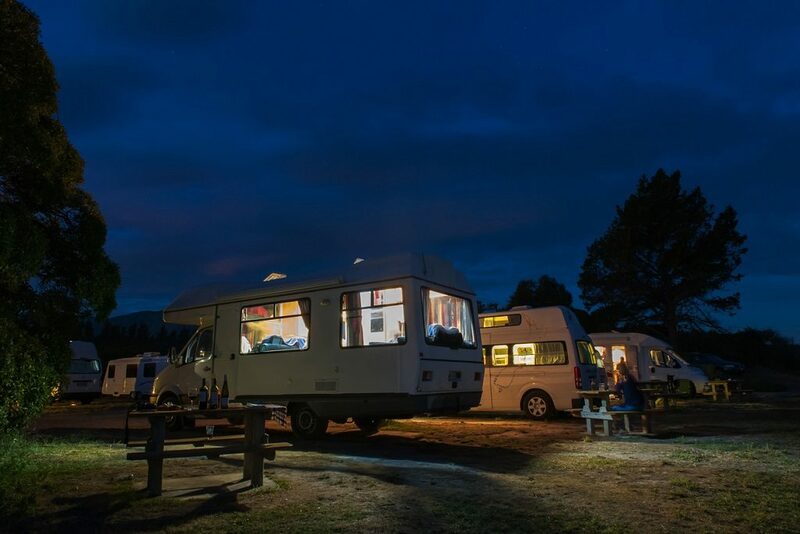 Freedom camping, or free camping, lets travellers put up tents or campervans almost anywhere across the countryside. Just remember that you must clean up after yourself and respect any signs that are posted. Check out more tips for free camping here. 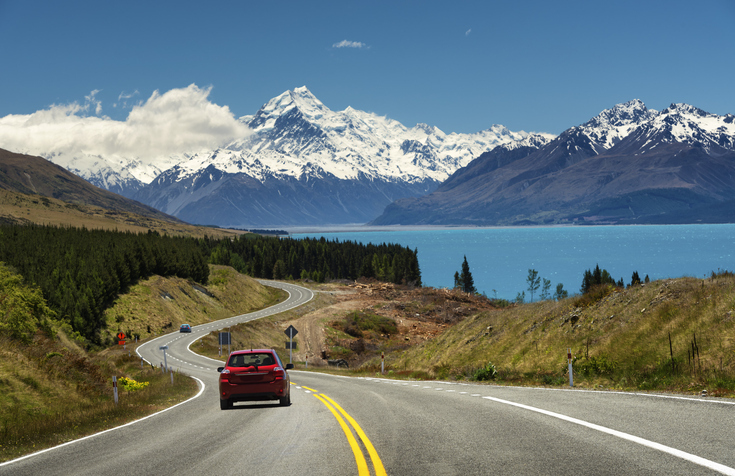 While New Zealand looks quite small on the map, the country’s roads can take quite a long time to traverse. Strong winds, narrow, winding roads, and hilly terrain can all delay your journey, as can one-way bridges. So always plan for extra time when travelling by road. Driving isn’t always the easiest option in New Zealand. There are lots of other options, such as intercity buses, trains, and ferries. But if you do plan to drive, remember that Kiwis drive on the left. If your care is hired, check the rental company’s policies and restrictions regarding inter-island travel. Also, note that cyclists aren’t allowed on the motorways. Prices at restaurants in New Zealand (and especially in the capital, Auckland) can be quite high, running up to NZ$50-100 per day. So, if you want to cut down on your spending, choose your dining experiences wisely, or opt for making some of your own meals. Tipping is more a gesture of courtesy than the norm in New Zealand, whether it’s at restaurants, bars, salons, or in a taxi. 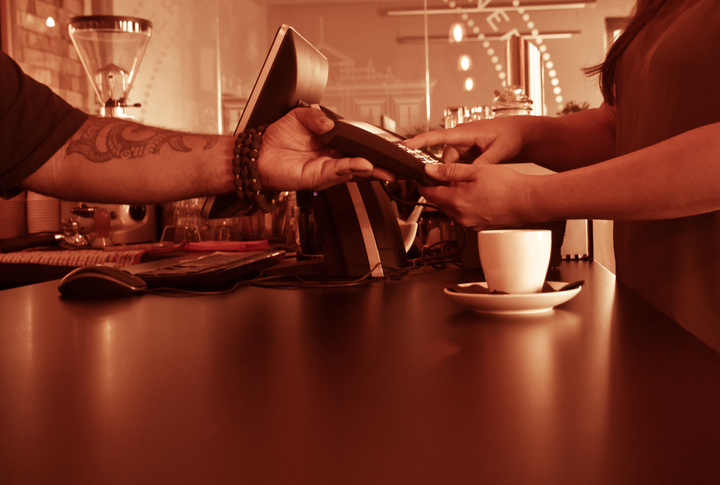 Employees typically earn a living wage, so tipping is usually reserved for exceptional service. Generally, a 10% tip will be quite appreciated. New Zealand has arrangements with many countries, allowing travellers under the age of 30 to get a Working Holiday Visa. This lets them travel around the country for an extended amount of time, while they work (usually on farms or the hospitality industry). If you’re in an emergency, dial 111 and you’ll be connected to a dispatch operator and asked which service you require – ambulance, police, or fire. 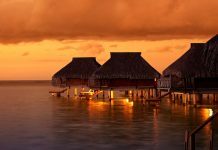 Are there any New Zealand travel tips that we’ve missed? If so, be sure to share them in the comments below.